This was how one twitcher described the arrival of a White-Throated Robin in Cleveland. A tiny bird, similar in shape to our European Robin but with its red breast swept back beneath the wings, this drab little superstar has caused a lot of excitement in the North East. Its only the second time this American bird has been found in the UK, the last being relatively recently in 1990 and, because of this, hoards of binocular and telescope-toting twitchers have descended to tick it and move on. Of course the fact that it has been seen here twice makes it less of a rare occurrence than seeing Messi play five-a-side in Cleveland Municipal Gardens, but for the sake of a killer quote we’ll let that point of order pass. If I was a twitcher I would think nothing of popping up and scoping this bird. A mere 5 or six hours travel is nothing for a bird of this rarity. Luckily my sanity prevails and twitching is not something which gets the adrenaline coursing through my veins. I prefer to stick around here and see what I see, I’m not really list-obsessed. Which makes me a birder, or birdwatcher; someone who takes great pleasure in seeing birds of all shapes and sizes, but not compelled to chase about after vagrants and rarities to fill an Excel spreadsheet on my laptop. Which is why it is so frustrating when the term twitcher is bandied about in reference to anyone with a passing interest in birds: if you’re not traveling to a specific place, at a specific time, to see a specific bird, you are not twitching. I’ve tried twitching once or twice, like the time a Long-Billed Murrelet turned up off the beach at Dawlish and hung about for two months. It was only 20 minutes down the road from my house, but even so I go there 10 minutes after the bird had flown away. So I have long-since given up on chasing the tail feathers of wind-blown birds, astray in the UK. It would seem I have better luck with insects. Last week I got a call from a friend about a very special insect he had found nesting in his bay window thatch. A knot formed in my stomach as I grabbed my camera and car keys and dashed out of the house. Two minutes later I dashed back into the house, scooped up my toddler and dashed back out again. It was a dazzlingly sunny friday morning and Ellie and I were on the trail of a new bumblebee for the UK, one that has only recently colonised the country. When you mention bumblebees, most people assume there is only one sort. In the same way most people think there is one sort of wasp or the only bees buzzing around the garden are honey bees. When I say that there are 24 species of Bumblebee, its normally met with surprise. Well, make that 25; the tree bee is here. Bombus hypnorum is the appropriate scientific name for the hypnotic beauty of the Tree Bumblebee. Unlike most of our bumbles it lives in quite large colonies and makes its nests above ground, normally in tree crevices, nooks, crannies and bird nestboxes. They were first recorded in the UK 10 years ago on the Hampshire/Wiltshire boarder, and for many years remained in a very small geographical area. However, in the last four or five years the tree bee has experienced something of a population explosion, with records covering the South and East of the Country, as the bee moves North and West. 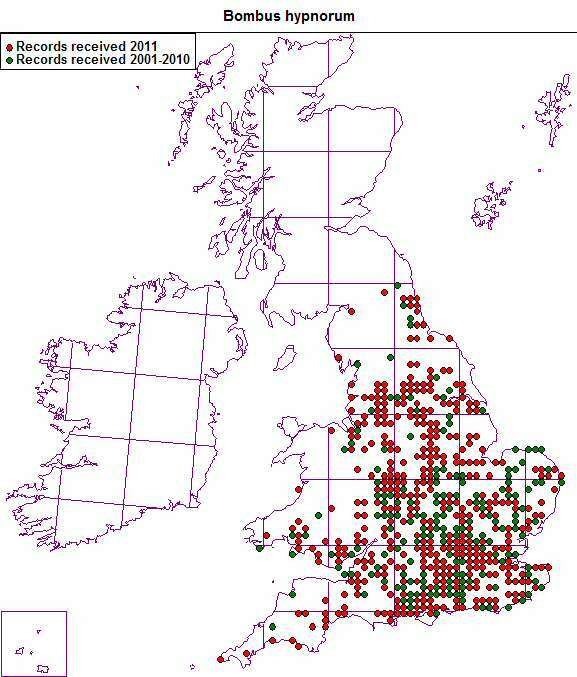 The Northerly expansion has been well recorded by BWARS, the Bee Wasp & Ant Recording Society, however, as the map shows, instances of the bee are less common down here in East Devon, which seems a little odd. The bee is perfect for public recording, as it is easily recognised, no other bumblebee has the same markings. 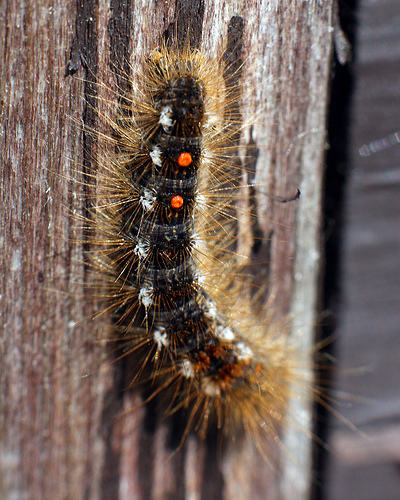 A black head is fringed by a hairy ginger thorax and its jet black abdomen is tipped with bright white hairs. If you see this bee please get in touch, as it is important that we keep track of its spread. 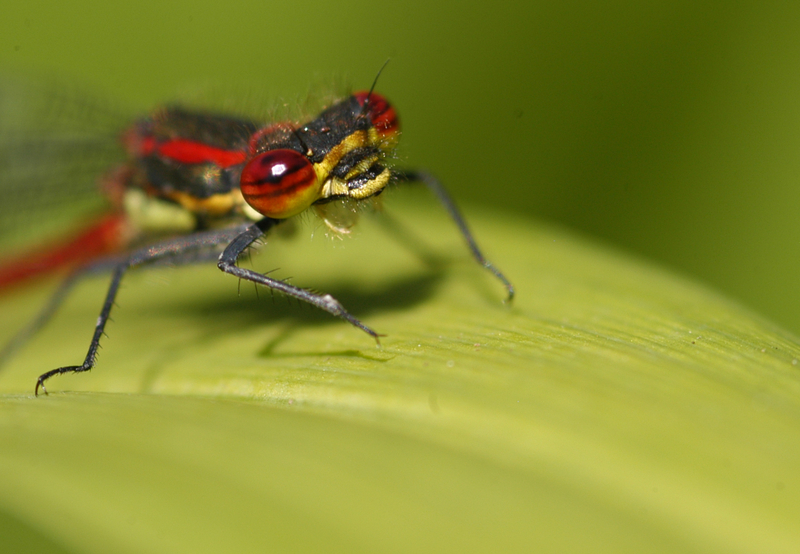 Winged insects settle from the continent every year, with some making an annual migration across the Channel each year, however it is not often that a species successfully breeds and colonises our shores. 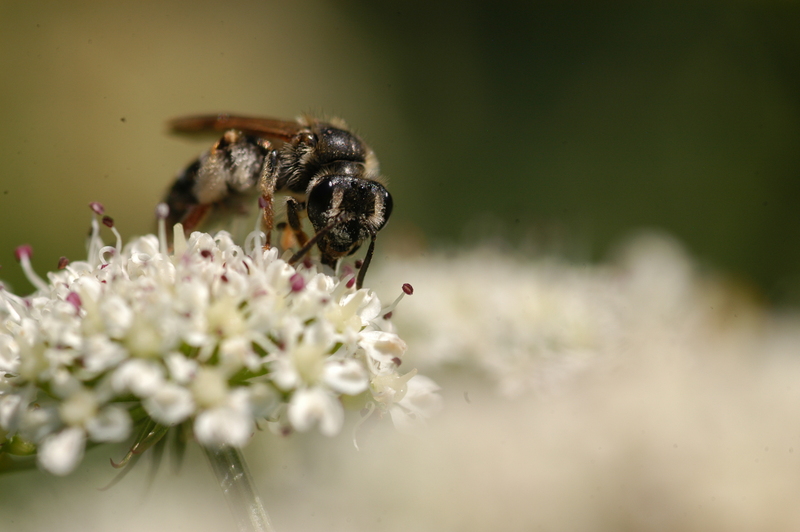 It is thought that this new addition to the UK’s Hymenoptera list is having little or no impact on native species. It nests in different places and is not directly parasitic or predatory on our more established bees. However, it is only by monitoring its progress through the UK, that a picture of its place within Britain’s ecology can be pieced together. There is also an odd behaviour which is being noticed at nest sites of Tree Bumblebees early in the summer, and video footage of this is also requested by ecologists. Swarms of smaller male Tree Bumblebees have been seen ‘dancing’ outside the entrance to nests, in what is thought to be anticipation of the emergence of the queen for mating. Again, more information is required before we know exactly what this fabulous behaviour is exactly for. I have read some cautionary tales on web forums (yes, I spend quite a bit of my free time scanning the internet for wildlife-related stories) about this new bee, and it links neatly to my column in last week’s paper about our innate fear of the unfamiliar. 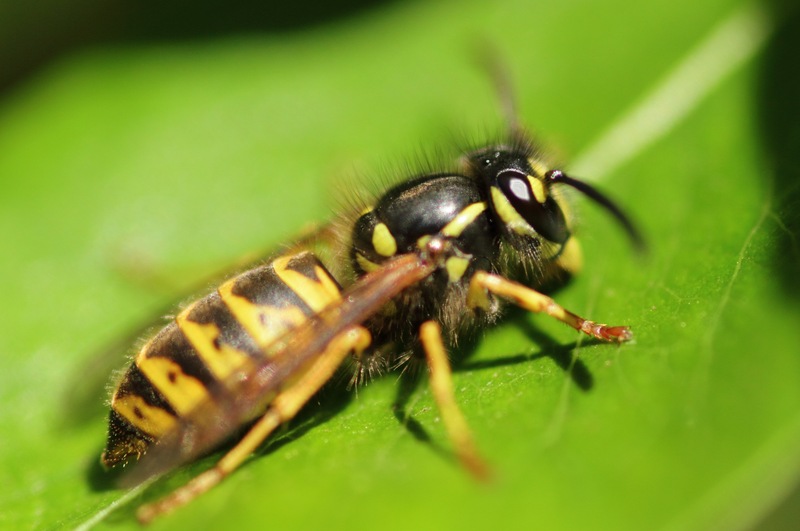 Stories of tree bees acting aggressively outside the nest, and attacking our British Bumblebees, might strike a fearful tone, but until we know more about the bee we can’t make any firm accusations. All female bumblebees can sting, but unless you really provoke them Bumblebees are usually very reluctant to sting. Certainly on Friday, I spent a fair amount of time poking about outside the Tree Bee nest hole and was met with no hostility. If however, you’ve got a nest in a bird nest box and you lift the lid to get a better look at the colony, expect to get stung! 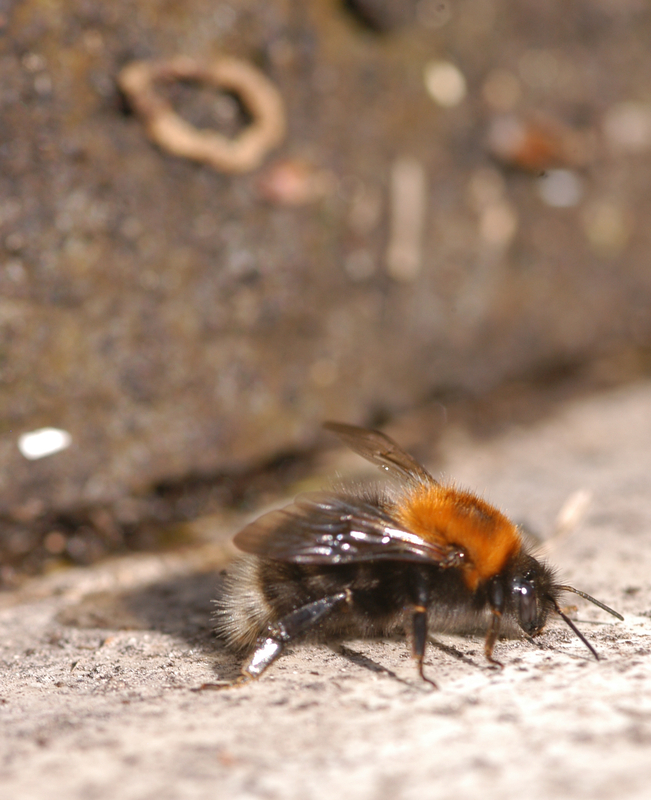 Also, the attack behaviour reported upon other bees could be worker Tree Bumblebees defending the nest agains parasitic cuckoo bees or mimic flies, which look just like bumblebees and want to lay their eggs in the colony. 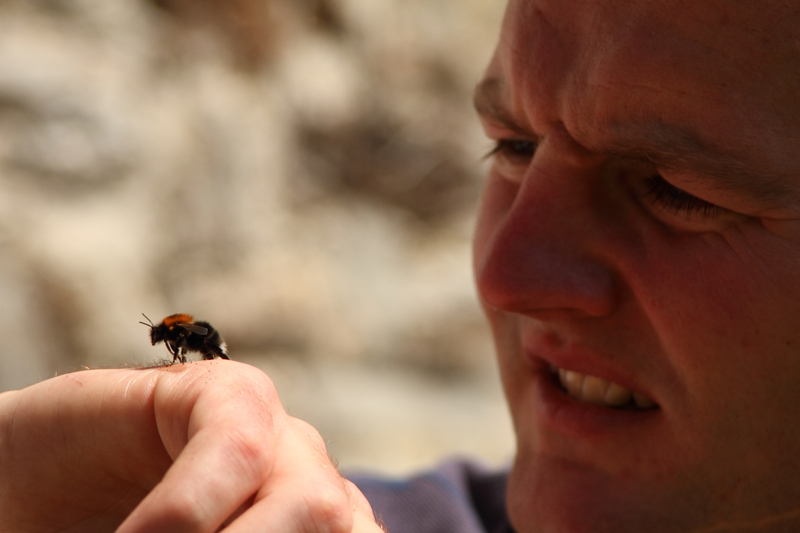 I made a short film clip about the bee which will shortly be on my wildlife channel Youtube/user/wilddiary so if you would like to see a bit more about this bee, check out the film online. If you think you have seen Tree Bumblebees locally, either get in touch with me at the District Council or contact BWARS directly with your record by visiting their excellent website http://www.bwars.com where you can also find a fact sheet all about this fascinating little bee. Two years ago, I reported in this column about the Government’s plans to calculate an economic value for the natural world. At the time, the news had a mixed response. But now the project findings have been launched, we can see what the combined brainpower of over 500 of the UK’s top scientists and economists have come up with. The UK National Ecosystem Assessment (UK NEA) is the first analysis of the UK’s natural environment in terms of the benefits it provides to society and our continuing economic prosperity. Funded by the governments of England, Scotland, Northern Ireland and Wales, and by the Natural Environment Research Council and the Economic and Social Science Research council the project itself cost £1.3m. The natural world, its biodiversity and its constituent ecosystems are critically important to our well-being and economic prosperity, but are consistently undervalued in conventional economic analyses and decision making. Ecosystems and ecosystem services, and the ways people benefit from them, have changed markedly in the past 60 years, driven by changes in society. The UK’s ecosystems are currently delivering some services well, but others are still in long-term decline. The UK population will continue to grow, and its demands and expectations continue to evolve. This is likely to increase pressures on ecosystem services in a future where climate change will have an accelerating impact both here and in the world at large. Actions taken and decisions made now will have consequences far into the future for ecosystems, ecosystem services and human well-being. It is important that these are understood, so that we can make the best possible choices, not just for society now but also for future generations. A move to sustainable development will require an appropriate mixture of regulations, technology, financial investment and education, as well as changes in individual and societal behaviour and adoption of a more integrated, rather than conventional sectoral, approach to ecosystem management. These findings are the nub of the scientific report, but of course the headlines will be grabbed by the financial figures ascribed to various parts of the countryside we take for granted. Wetlands have been valued at £1.3 billion just for the water quality effect they have*; The health of pollinating insects is valued at £430 million every year for UK agriculture; and the health benefits of living with a view of greenspace is worth £300 for every person, every year. Its long been known that access to greenspace and wildlife is good for you, now a price has been put on it. But how can a monetary value be assessed for life itself? The economic valuation of the natural world seems a cold, unemotional response to the wonders of nature, but that is exactly why this report was needed. For too long, conservation projects have been cursed with the question “why are we spending all this money protecting a <<blank>>”, and you can fill in any number of plant or animal species in the blank. The Countryside Service’s very own water vole project came in for criticism when it was first launched three years ago, with people questioning why we were putting efforts into re-establishing this mammal in the District. The answer was simple, and is broadly what this report echoes in far greater depth; the wider benefits to rivers, water quality and quality of life were the unspoken benefits of a conservation project to reverse a local human-induced extinction. If you find yourself asking why is it necessary to put something so vulgar as a monetary value on something so special as the natural world, I would suggest this report isn’t written with you in mind. You are one of the converted, and this report looks to address the congregation rather than sing to the choir. The exciting this about this gargantuan piece of work is the prospect that it might be the document to cause a penny-dropping moment for all sorts of high-powered ‘decision makers’, which I think means politicians. When tackling the inevitable environmental issues that will arise over the next 50 years, it’s going to be cold hard calculations like these which set the tone of the resulting policies. This is a significant step in the protection of our environment, however I am still left feeling as if a fundamental point is being missed. The report summarises that our natural ecosystem is worth Billions of pounds to the UK economy, but I would argue that as the planet’s only life support system, the ecosystem should be seen as priceless. * Hooray for the Axe Estuary Wetlands Project! 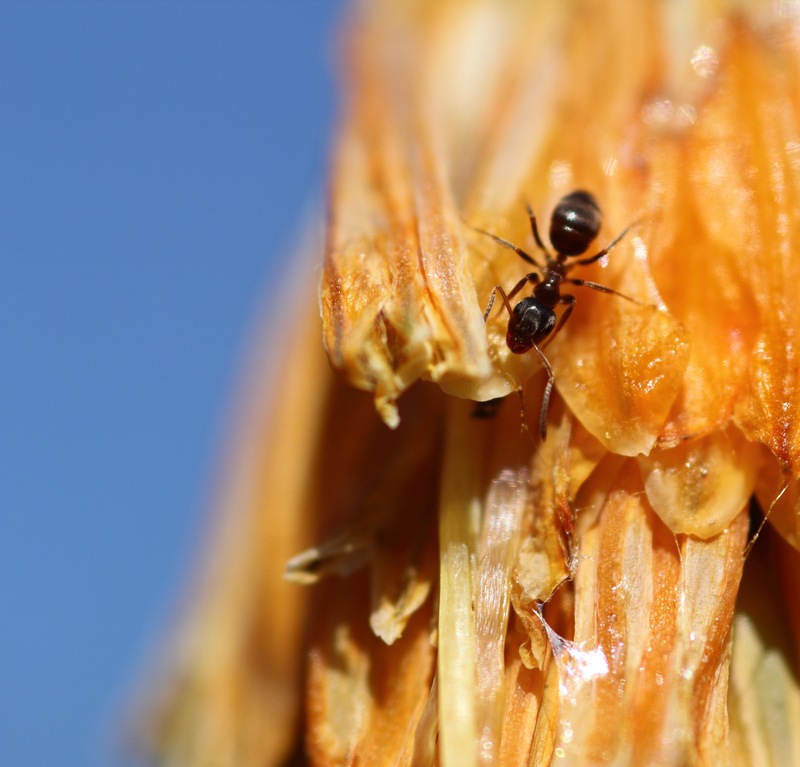 There’s something really compelling about macro photography. Possibly its the ability it gives you to clinch ID at a later date, while sat comfortably at home later in the day beer in hand. 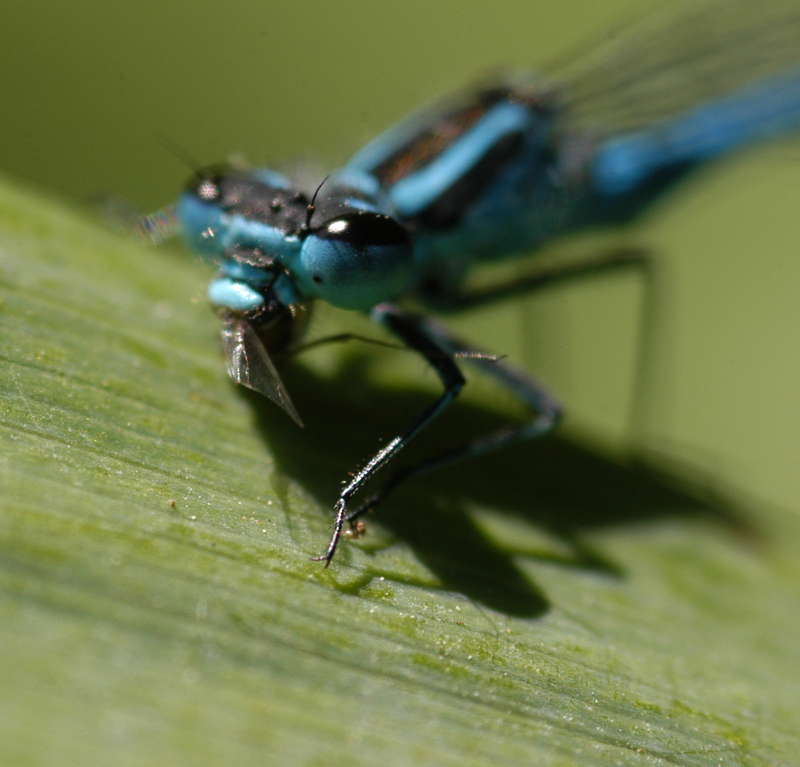 Possibly its the glimpse of the unknown, a good macro shot can often reveal aspects of the natural world which are hidden from the naked eye, especially in a fast moving subject. Possibly though, its the excitement of Christmas, snapping away and waiting to get home to unwrap the gifts and see what Big Pappa Smurf has dumped on your SD card this time. I love it! Here’s a few snaps from a recent morning spent at a friend’s house. The ID is tentative, so if you have a better idea of what it is, please get in touch! 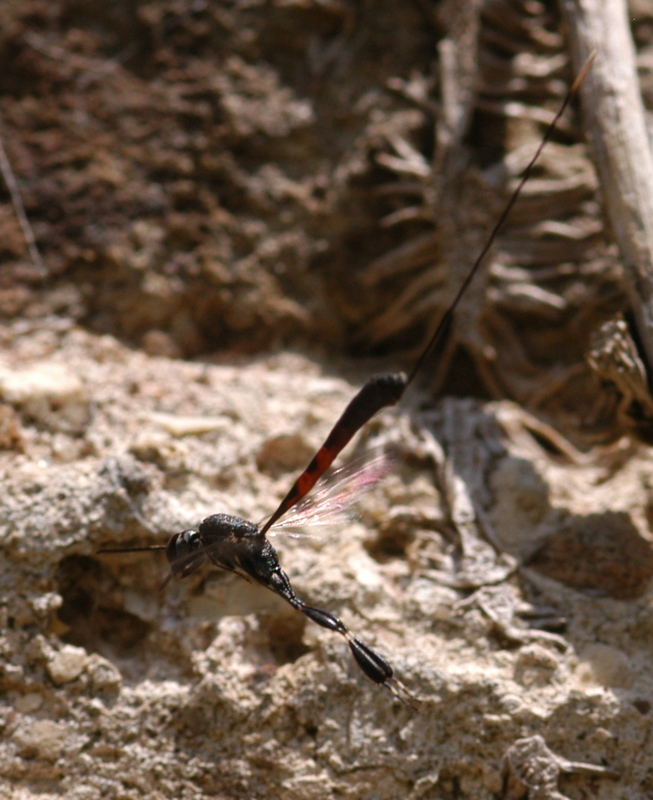 This magnificent Evaniid wasp, Gasteruption jaculator, thanks to Stuart from BWARs for identification! Bees, I just LOVE them! This crab spider, Misumena vatia, must be my favourite spider in England, and here it was sitting in a flower in my own garden. 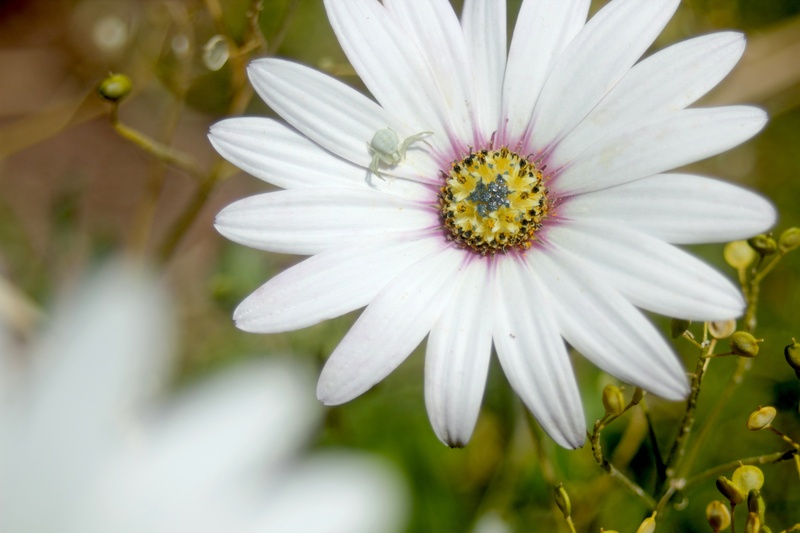 This spider does not spin a web to entrap its prey, but instead sits in the corolla of a flower and waits to grab at visiting insects with its strong front legs. They get the name crab spider from their appearance, and the habit of moving sideways, like a shorecrab. The rear four legs are small and are used for holding on to the petals, while the power is focussed in the front four legs which are held out to grapple prey. The really amazing thing about this tiny creature though, is its ability to change colour. Its no cuttlefish, the change takes a little while, but the female is able to turn a variety of shades of white, pink, yellow and green, to suit the flower in which she sits. This would also indicate that these brilliant little critters are able to see in colour too, amazing! There may be a few thousand years of selective breeding separating them, but as any owner will tell you; when faced with a stressful situation a dog will reveal the wolf lurking just beneath the skin. Its the same for us too, when anxiety levels are ratcheted up or things make us angry, its an ancient part of our brain which is firmly in control. The limbic system is the part of the brain which scientist believe is associated with emotion, and regulates these ancient traits. As Homo sapiens evolved, it was our brains which gave us the Darwinian edge. In that primitive state, the brain was concerned exclusively with keeping the vulnerable hairy lump in which it was trapped alive. Things that gave it a better chance of survival or reproductive success were positively reinforced, while any behaviour to the contrary would have quickly been lost from the collective gene pool through the untimely demise of its proto-human. When the wolves were circling near the cave (to labour a hackneyed point) this part of our brain kicked in and helped keep us alive, preparing the body for fight or flight. Today it is that ancient part of our unconscious which is exploited by a mind-boggling array of modern influences. Marketing strategies are honed to appeal to our self-gratification reward system; fast food is concerned only with the most basic appeal of fat salt and sugar, and a good shock story triggers our instinct for self-preservation. We’ve got accustomed to not living next door to the wolves, but the innate fear of the natural world is still there, like a little switch waiting to be flicked on. I’ve run headlong into this instinctive issue in a number of activities I’ve arranged for my events programme. The line is drawn in different places depending upon the genuine risk involved and the mitigation I can influence at the time. Wild food, for example, is a really popular topic at the moment and, because of this, its a great way to engage people with the natural world who might not otherwise be interested. So I conduct a number of wild food cook-ups in the school holidays, a morning looking for wild ingredients to add to a meal, these events are always popular. However, I agonised over their inclusion in the events programme for fear of encouraging people to pick and eat plants at random in the East Devon countryside. The fact is there are a few very common plants that grow in a variety of habitats, which, if you were to eat them in sufficient quantity, you would find yourself in hospital shortly before you were transferred to the morgue. Hemlock water dropwort, for example, looks like a myriad of tasty treats, but is fatally toxic with no simple antidote. After much thought, it was decided that we could conduct the wild food events, but that this sobering fact would feature prominently in the warnings given during the morning. The knowledge that there are superficially benign things out there that can mortally harm us often illicit the same response; it should be got rid of, immediately. Of course, the truth is that the plant is completely harmless unless you decide to stuff it in your mouth, and the countryside is not some fairytale gingerbread world where you can skip about nibbling at tangerine trees or marmalade skies. Its not just plants, adders are our only venomous reptile and the fear in which they are held is out of all proportion to the risk they pose any of us. When planning the ever-popular reptile rambles, I was faced with the poser as to whether I should handle the species found under our reptile traps. 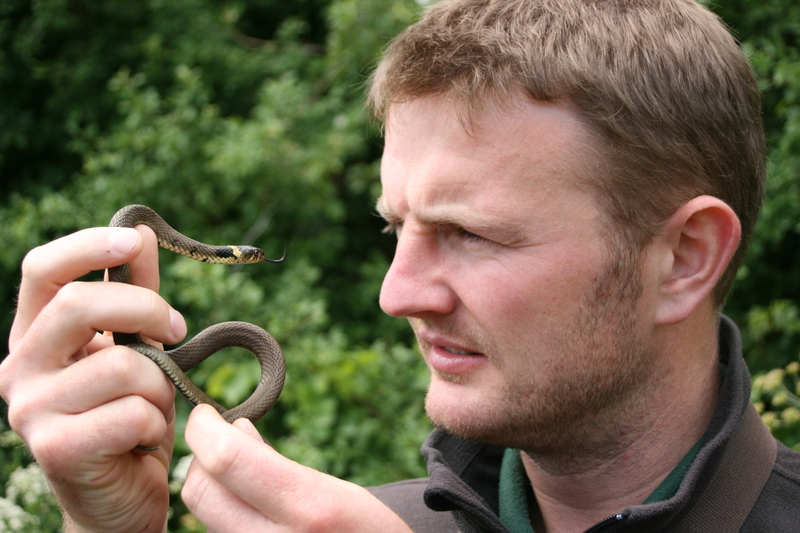 On one hand common lizards, slowworms and snakes are small and fast-moving and so are difficult to show to a large group of people, especially with a wide age range. On the other hand, all these animals need to be handled correctly for their own safety, as well as that of the handler. Moreover, I would not want to encourage people to grab at reptiles they might find in the countryside like some Devonian Steve Urwin, in case they harm the animal as much as for fear of getting bitten by a venomous snake. Most adder bite victims admitted to hospital present with bites to the ankles or hands. In other words the snake has either been accidentally trodden on while it sits unseen, or someone has bent down to pick it up. I personally love handling snakes and have either owned or looked after a wide variety of species. However, it was decided that I would handle all species encountered for the sake of the event, but draw the line at adders, engineering the way in which each trap is approached to maximise the time an adder might sit in view to help everyone at least get a glimpse. It saddens me, when we live in such a sanitised, urbanised, humanised world, that collectively our initial response when faced with ‘threatening’ biodiversity is to look to eradicate it, rather than learn how to live safely around it. Its a basic urge that only knowledge and education can change; case in point, did you ever kick at a fungus when you were a child, because somewhere in the back of your mind you remember someone telling you they were dangerous? I’ll admit that I think I did, what a horrible little boy I must have been on that day. So next time you are reading a shock story about the natural world, take a moment to weigh up how much of a risk it genuinely poses to you. Its often said, you wouldn’t leave the house if you were able to accurately assess the risks involved, but those risks come from traffic and other people rather than a delinquent hemlock plant leaping down your throat!